This is our ninth episode our amazing podcast called ‘Wrestling is Everything is Wrestling‘ or WEW for short, which is part of the Boomstick Comics brand on the Multi-Media Men Podcast label. That was a mouth full. Tom Nix and Bryan Kluger along with Tyler Mager from FloSports discuss perhaps what was the BEST Wrestling event in history. Wrestle Kingdom 11 in Japan, which is New Japan Pro Wrestling’s biggest event, similar to Wrestlemania. 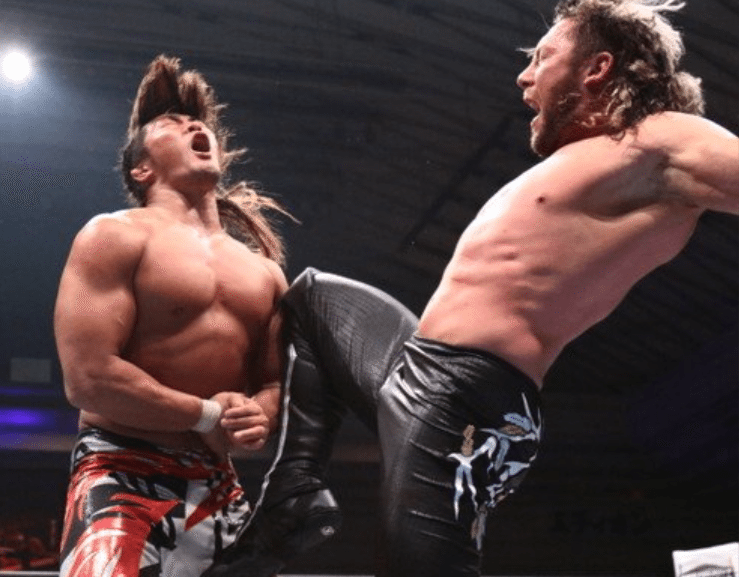 We dissect every match and discuss the reasons on why to watch NJPW, as well as who to watch out for in coming months. This is one of the best PPVs I’ve ever seen. This entry was posted on Sunday, January 8th, 2017 at 11:31 pm	and is filed under Events, News, Podcast. You can follow any responses to this entry through the RSS 2.0 feed. You can skip to the end and leave a response. Pinging is currently not allowed. « ‘Billy Lynn’s Long Halftime Walk’ Comes To Home Video In February!! !